Smooth muscle contraction is initiated by phosphorylation of the 20,000 Da light chain subunit of myosin (Sellers and Adelstein, 1987; Hartshorne, 1987). The enzyme responsible for this phosphorylation, myosin light chain (MLC) kinase, is dependent upon both calcium and calmodulin for activity. In addition to its role in muscle contraction, myosin plays an important contractile role in many nonmuscle cells (Korn and Hammer, 1988). This cytoplasmic myosin is also regulated by light chain phosphorylation. 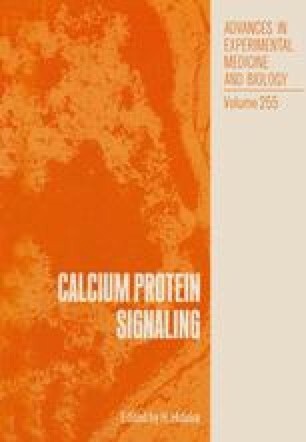 Phosphorylation of smooth muscle and cytoplasmic myosin by MLC kinase results in their activation as judged by a large increase in the actin-activated MgATPase activity.